If former Rep. Barney Frank does get an interim appointment until a more permanent replacement to fill Sen. John Kerry’s seat is elected, he has a plan for dealing with the nightmare fiscal scenario created for the country in the coming few months with the forestalled fiscal cliff. He’s advocating for progressive Social Security reform to be part of the mix. That last bit of the quote is in reference to the chained CPI, the currently in vogue “solution” to extending the life of Social Security. The current payroll tax cap is $113,000—anyone making more than that pays payroll taxes on just that amount and the rest is clear. It is revenue ripe for the picking, and far more equitable approach to shoring up Social Security than shrinking benefits. A Sen. Frank, with no real allegiances within the Senate, no need to make friends there, and nothing to lose by raising a little hell could be just the ticket for some common sense Social Security reform. Sign our petition asking Massachusetts Gov. 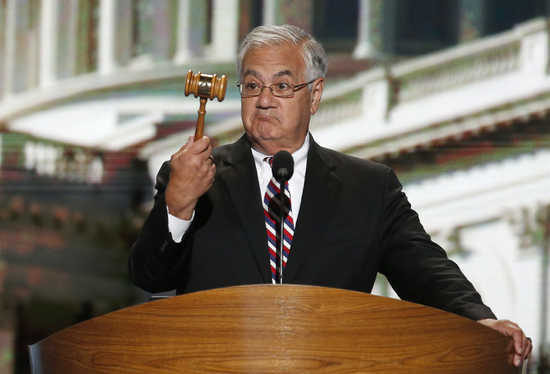 Deval Patrick to appoint Barney Frank interim U.S. senator from Massachusetts.